In 1982, when the “new” Red Deer courthouse opened, the city’s population was 48,562. Sep. 24, 2012 4:51 p.m. Since then the city has grown to almost 94,000 souls, a 93 per cent increase. In 1982, the Central Alberta phone book, which covered a massive swath of the province from Rocky Mountain House to Drumheller, listed 66 lawyers. Today, the Central Alberta Bar Association, which covers a considerably smaller footprint, has 160 members. Despite massive increases in population and legal needs over the past generation, the Red Deer courthouse has not been expanded by one square metre. The building is still stable and functional. It’s just too small to meet our legal needs. Wouldn’t it have been great if — when it was planned — the courthouse was overbuilt to accommodate Central Alberta’s burgeoning growth? In fact, that was precisely the plan. Jim Foster was Red Deer’s MLA and Alberta’s attorney general when plans were first developed to construct the courthouse. He insisted that oversize footings be installed to accommodate more storeys in time, as the community grew. But somewhere along the way after Foster left government, somebody decided that was a needless expense and the courthouse was built with no capacity for vertical expansion. At first glance, our only regional courthouse seems woefully and shamefully inadequate to our growing legal needs. That courthouse does not serve just the needs of the city of Red Deer. It’s the legal centre from Saskatchewan to the British Columbia border east-west and from Lacombe to Olds north-south. It’s the third largest legal division in the province, behind Calgary and Edmonton. Calgary celebrated the opening of a magnificent new courthouse in 2008. It was billed as Canada’s most energy efficient and largest courthouse, featuring 73 courtrooms. Legal practitioners there say it’s already working at full capacity. In Central Alberta, however, courtroom capacity has not just stood still; it has shrunk in the past two decades. The seven courtrooms in Red Deer remain, but two others, in Lacombe and Innisfail, were shut down in the 1990s. All their workload, which has expanded just as explosively as that in Red Deer, was shunted into our downtown courthouse. The Red Deer courthouse does not lack just the physical space to ensure timely justice; it lacks the human resources to staff it. There’s simply not enough room to accommodate all the people who deliver justice, which goes far beyond judges and lawyers. For a crude snapshot of its inadequacies, check out the Monday morning lineup of people spilling out of the courthouse and down the sidewalk as they queue up to pay their tickets. You may think that a trivial issue. Why should the Alberta government spend millions of dollars for a larger building so scofflaws can be served promptly? The government should care because it’s a small symptom of a much broader problem that is manifest in needless and damaging legal delays. There are few votes to be had in constructing new courthouses to shorten legal delays while there are insufficient hospitals, medical clinics and schools to serve a young and growing Alberta population. Effective government, however, must think beyond the next electoral cycle. They have to make wise long-term infrastructure investments for the betterment of all our citizens. In the past 20 years, three Alberta government reports have been commissioned about Central Alberta’s courthouse needs. All of those reports recognized space deficiencies in Red Deer, and those deficiencies have grown ever more acute over time. A provincial study in 2009 identified five possible options. Building a new courthouse in Red Deer was ranked low, because of the perceived lack of interest by the City of Red Deer in taking over space in the current courthouse. That assessment is far from true today. The city’s office space needs have expanded massively as the municipality has grown; many employees now work in rented commercial space. The courthouse, just across the street from City Hall, is extremely attractive to the municipality. More important, the city owns land that would be perfect for a new courthouse. If built properly, with the capacity to expand, it could serve Central Alberta for generations to come. The city owns the entire block south of City Hall, except for a small plot on the northeast corner, where the historic Dr. Richard Parsons residence has sat since 1903. That land, which also contains the old city RCMP detachment and the municipal parking structure, would be an excellent site for a new courthouse. The city is keen to make that happen and take over the existing courthouse. But its bare downtown land is extremely valuable; it can’t sit idle and empty while the provincial government stalls and dithers. It’s in the heart of town, where all our previous courthouses have been sited, and where it should remain. Most city lawyers already work there. Creature comforts and work efficiency are not the driving demands for a new courthouse, however. The core issues are ensuring justice and serving our citizens. There’s a fundamental axiom in law: justice delayed is justice denied. Legal processes that are routinely expedited within three weeks in Drumheller and five weeks in Calgary and Edmonton now take four months in Red Deer. Outside the criminal justice system, young innocents in Red Deer are being impacted. Contested divorces involving child custody are horribly backed up here. Lawyers representing fathers and mothers seeking custody of their children must wait a long time to get before a judge. When they finally do, court space pressures limit them to making a seven-minute oral argument on behalf of their clients. On the criminal justice side, it’s even worse. 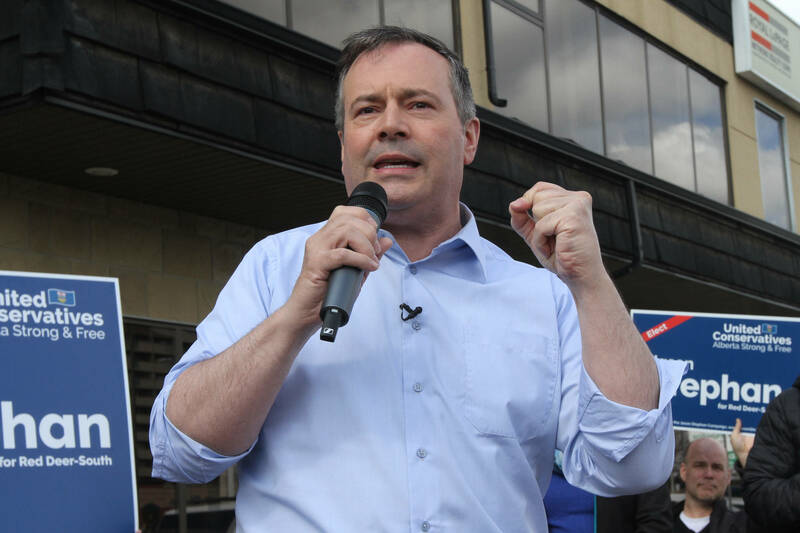 Court delays could soon have hideously embarrassing consequences for the Alberta government. Under Canadian law, people charged with criminal misconduct are entitled to prompt justice. That test is simply not being met in Red Deer. The day is soon coming when a serious thug will be set free before trial because our courthouse is simply too plugged. Rule of law is central to democracy and every aspect of our way of life. It’s being abused now by government foot-dragging. Premier Alison Redford is an accomplished and respected lawyer. She knows all these facts better than the rest of us. She’s the one with the power and responsibility to fix it promptly. Joe McLaughlin is the retired former managing editor of the Red Deer Advocate.